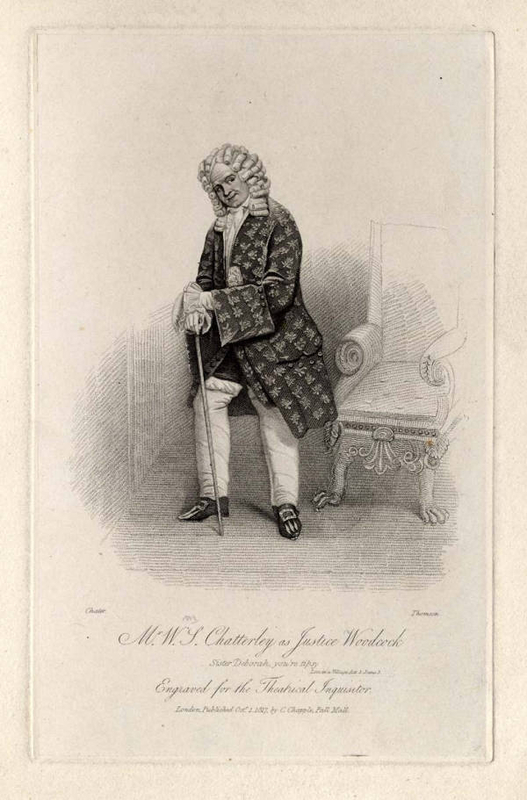 Chatterley, William Simmonds (1787-1822): He was said to have appeared at Drury Lane when three years old. In 1804, he appeared in the provinces and at Bath, where he married. He led a dissolute life, and when he appeared at the Adelphi he had only three years of life left. It was said his Justice Woodcock (Love in a Village) was third only to that of Munden and Dowton.